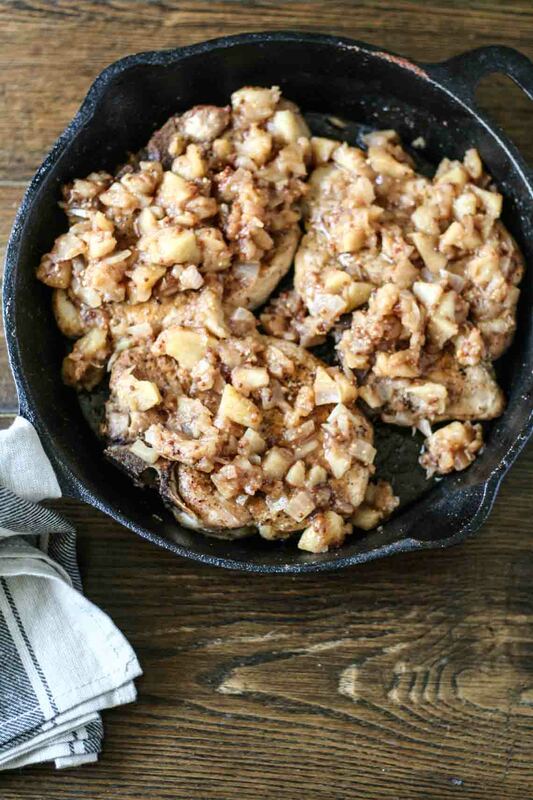 These spicy apple chutney pork chops are tender and delicious. The trick with cooking pork chops is to not overcook them, otherwise they become dry and just hard to enjoy. I’ve also found that finding a good, thick, bone-in pork chop is crucial. 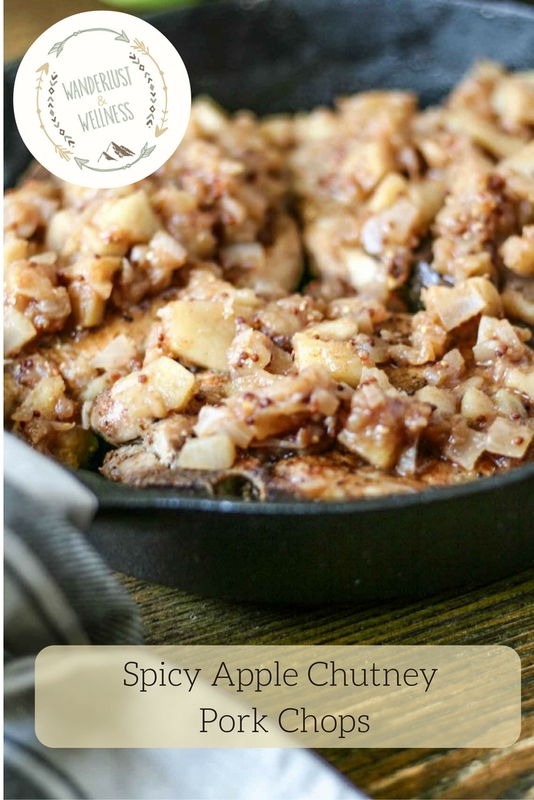 This spicy apple chutney pork chop recipe uses prime rib pork chops, which are a nice, center cut bone-in pork chop. Lots of tender meat to enjoy. And remember when I mentioned the pairing of the spicy apple chutney with just about any meat? Well, this is one of the best pairings, pork chops! I love cooking with my cast iron skillet. In fact, I prefer cooking with this over any other type of skillet. It brings out such good flavor within the meats and it’s actually not that hard to clean up. 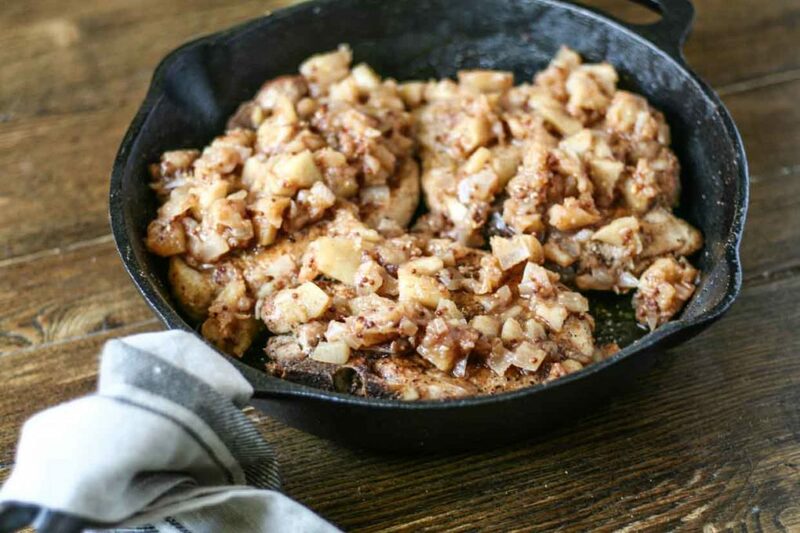 I cooked these pork chops in a cast iron skillet with some melted ghee and spices, so good! 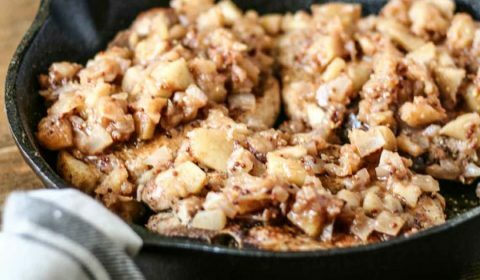 Once the pork chops are done, top it with some of this spicy apple chutney and you’ve got a nice mix of savory and sweet. I know I’ve mentioned this before, but don’t be scared to try fruit with meat dishes like this. I used to avoid it like the plague but it brings in so much flavor. I also served these with my mashed Parmesan potatoes, mix all three and you’ll be in heaven! Unless you’re someone who doesn’t like to mix your food, in that case leave them to party solo. In a small bowl, mix together the dry spices to for a rub for the pork chops. Rub spices onto both sides of pork chops. 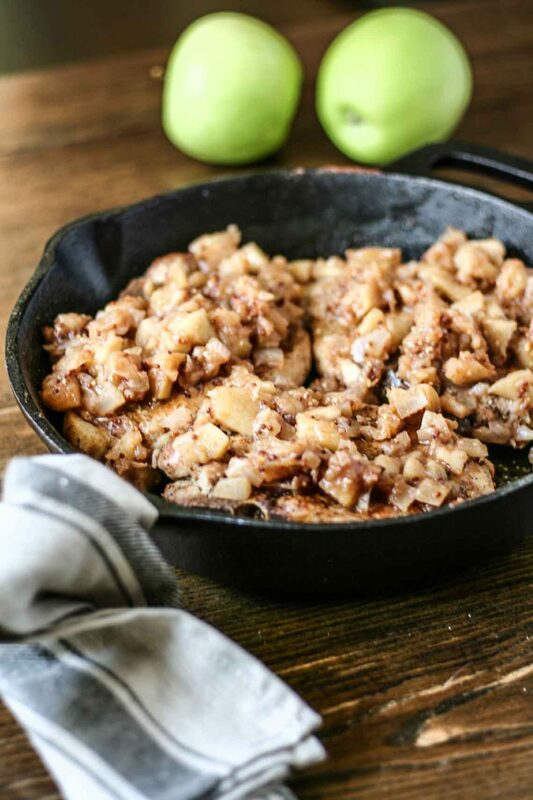 In a cast iron skillet, melt your ghee over medium heat. Place pork chops into skillet and cook for 4 minutes on each side, searing them nicely. Once seared, place skillet with pork chops into the oven and cook for 8 minutes. Turn chops and then cook for another 8 minutes. Remove chops from the oven, remove from skillet and let them rest for a few minutes. Top with spicy apple chutney just before serving.